When you’re signing up to be your basic security guard for so and so law firm, or that high-profile business that needs overnight protection, you need to be sure you’ve got the skills and the chops to carry out the job to the letter, whether it’s impressing the guys giving you your paycheck or fellow security guards who need to know you’re the best of the best. Thankfully, there’s this handy dandy book, The Professional Security Manual Class 1: Urban Security. At the end of the book there is an important self-test in firearms and weapons, as well as a shooting gallery forcing the reader to choose quickly enemies that need to be killed, and innocents that need to be spared. Professional Security Manual Class 1: Urban Security is an entertaining read that’s a lot of fun. Unfortunately, it ends pretty quickly, and really could be double the length for its entertainment value, plus the humorous language is great and should be more present to really make the reader laugh out loud. Originally written on August 11, 2016 ©Alex C. Telander. 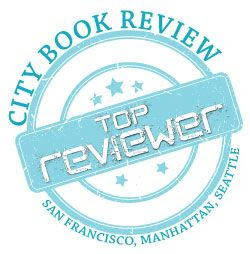 To purchase a copy of The Professional Security Manual Class 1: Urban Security from Amazon, and help support BookBanter, click HERE. In this incredible and wonderful period of Smartphones, it is all very likely that humanity will look back on this time as the remarkable invention of the iPhone and the power and ability that was unleashed with this invention. And with this marvelous invention there was texting; and with this fantastic ability to text, there was . . . autocorrect. For those who aren’t in possession of an iPhone, or may not be familiar with it, one “perk” of the texting application is the autocorrect feature that facilitates one’s typing using the touch screen to automatically complete words and make (supposedly) it much quicker and easier to text. 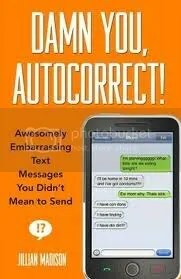 To purchase a copy of Damn You, Autocorrect from Amazon, and help support BookBanter, click HERE. In the Event of the Worst-Case Scenario . . . 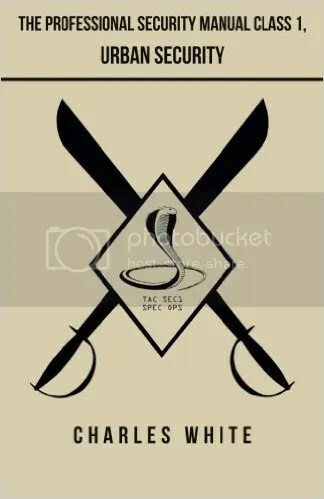 Ever wonder how to treat a snakebite? How about when you lock your keys in your car and you wonder if you might be able to break into it somehow? And the dos and don’ts of a tourniquet – what are they? All this and so much more is explained in the small, comfortable, pocket-sized, handy-dandy The Worst-Case Scenario Survival Handbook, by writers Joshua Piven and David Borgenicht. The contents are organized into sections (“Great Escapes and Entrances,” “The Best Defense,” “Leaps of Faith,” “Emergencies,” and “Adventure Survival”) again providing invaluable aid to anyone who is in need to exact details and skills to be performed in a specific situation. One specific instance lends greatly to our current position here at Cal State Long Beach, with the Africanized Honey- or so-called “Killer Bees problem we’ve been having. There is no telling how useful this book may be to you. People go on trips and vacations without ever suffering any sort of mishap, while others seem to run into nothing but trouble. With The Worst-Case Scenario Survival Handbook, you will be able to eliminate at least 90% of your problems. So make sure you get a copy of this book, and the next time you go on a trip somewhere, make sure you slip the book into your duffel bag – just in case. 1) If bees begin flying around and/or stinging you, do not freeze. Run away; swatting at the bees only makes them angrier. 2) Get indoors as fast as you can. 3) If no shelter is available, run through bushes or high weeds. This will help give you cover. 4) If a bee stings you, it will leave its stinger in your skin. Remove the stinger by raking your fingernail across it in a sideways motion. Do not pinch or pull the stinger out – this may squeeze more venom from the stinger into your body. Do not let stingers remain in the skin because venom can continue to pump into the body for up to ten minutes. 5) Do not just into a swimming pool or other body of water – the bees are likely to be waiting for you when you surface. Originally published on May 14th 2001 ©Alex C. Telander. Think of the stupidest thing a person could ever do. Multiply this by a factor of ten. Then imagine that this person gets killed in the process of carrying out the stupid act. This is an example of a Darwin Award. In the founding days of the Internet, these Darwin Awards were one of the first chain letters to be created, named after the father of evolution, Charles Darwin. In 1993, UC Berkeley began collecting them, finally starting a website http://www.darwinawards.com. Since July of 1999 there have been one and a half million unique visitors to this site; it was also named “Coolest Wacky Site of the Year” in April of 2000. In October of last year, these many amusing yet fantastic stories were brought together in book form, under the same title. It is now possible for one to have a traveling companion to the Darwin Awards, for those times when one needs a “little something” to read. 1) The candidate must remove himself from the gene pool. 2) The candidate must exhibit an astounding misapplication of judgment. 3) The candidate must be the cause of his own demise. 4) The candidate must be capable of sound judgment. 5) The event must be verified. So basically, if you can get someone to film this wacky “idea” you want to try, where in the process you kill yourself or render yourself unable to reproduced, you are eligible. This book is recommended in any library for any person, for the simple reason that it is one of those books you can just pick up and begin skimming through anytime, anywhere and be extremely amused. What is interesting about The Darwin Awards is that it does not only contain the essential Darwin Awards, but also has a selection of possible winners and runners-up, as well as Honorable Mentions and Urban Legends. Originally published on March 19 2001 ©Alex C. Telander. Originally written on December 21st 2009 ©Alex C. Telander. When Mountain Man Dance Moves: The McSweeney’s Book of Lists hit book shelves with the cover of a triumphant, ethereal, blue, rearing unicorn, readers curiously started reading and then found themselves bursting with laughter, buying the book, and entertaining friends with it. 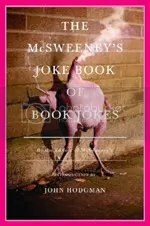 The editors of McSweeney’s return with The McSweeney’s Joke Book of Book Jokes; and if the title doesn’t capture your interest, maybe the cover of a plucked headless chicken – with a smoking cigarette in one flabby wing, while smoke effuses from its cylindrical hole of a neck – will. With an introduction from John Hodgman about the cash cow industry of satire, McSweeney’s aims its new book at the intellectual crowd as jokes and humor are procured at the expense of classic works and authors revered in collegiate halls. The first piece, The Recruitment of Harry Potter, is from the viewpoint of a quidditch coach looking to recruit Harry Potter to the team. It warns to stay away from talk about He Who Must Not Be Named and anything involving family. From this we go to George Samsa, currently dealing with his life as a cockroach, having his disability claim denied by Social Security for very specific reasons. Whether it’s Jane Eyre Runs for President or Jean-Paul Sartre, 911 Operator, or Klingon Fairy Tales, readers will be laughing out loud and rolling on the floor – or if you prefer LOLing and ROFLing – for hours. And for all those people forced to read long and boring classics, or listen to their teachers verbally worshiping dead writers, McSweeney’s Joke of Book Jokes is a restorative tonic, the book you’ve been waiting for that will make those hours and hours of late night reading of lengthy, purple prose worth it, because you’ll get all the jokes! Originally written on April 25th 2008 ©Alex C. Telander. In the vein of the Darwin Awards, Bad Cat, and the Book of Bunny Suicides, Letters to eBay is not a deep and contemplative book that offers reason and thought on the meaning of life. 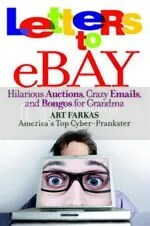 It is a book about unusual and strange auctions that have been posted on eBay and one man’s alter ego responding to them. The result is the perfect book to have lying around one’s home, on a coffee table next to the New Yorker, or to take on a trip with you, as I did: a hilarious and entertaining read that you can just pick up and turn to any page. An auction was listed for a large decorative bird cage, and at the bottom it made the promise to be “worry free.” Farkas seizes on this, contacting the auctioneer with a question about whether this will cure his constant worrying of everything: “I worry about simple and great things of the world including whether sippy cups are really safe, the GNP of Hungary, and the number 72.” The result is the amusing response from the auctioneer who explains in sincerity that the bird cage will not cure Farkas’ problem. An unusual collector of vintage traps lists a “Large Lucien Legeard trap.” The auctioneer explains that while these traps were made illegal in 1904, they are still excellent collector’s pieces. Farkas contacts the auctioneer, setting up a story that he and a group of older men engage in a live-action game like the Fugitive, where they are all chasing one man. His question is whether the trap would work well to catch a man and how good of a job it will do. Farkas receives this amusing response that the trap would not work well and that any person could easily break free of it. “The British did have a man trap with double springs and plain jaws. But when these come up for auction they are terrible expensive because of their rarity.” As is the problem with all written Internet communication, one is never sure of the meaning and emotion behind a comment, e-mail, or letter. In this case, the auctioneer may well think this story is true, which is just bizarre; or they may see the prank that Farkas is playing on them, choosing to play along. The result is a collection of responses from people who had pranks played on them and the question is whether they fall for it or not. As the more one reads of the book, the more one feels like after they read the Book of Bunny Suicides; it is an unsettled feeling in their gut, as they know that this just feels wrong. Nevertheless, it really depends on the type of person reading the book. Some who read Letters to eBay will, like me, feel that a lot of innocent people are being conned and tricked; while others will just be LOL (laughing out loud). Ultimately, this book has a little something for everyone. Originally written on July 13th 2007 ©Alex C. Telander.